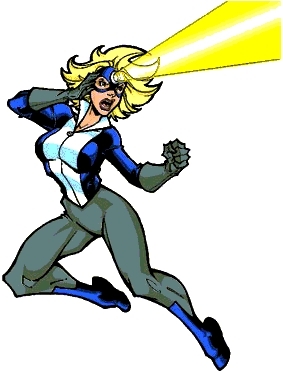 Story: Headlight was one of the heroes that participated in the contest for membership of WildGuard. She did not win a place in the group/reality show . It has been revealed that she holds several degrees in history and science. Skills & abilities: Laser blast projections from head lamp. © Michael Pilgaard. The character is ™ and owned by Todd Nauck. Art by Todd Nauck.